A series of post-WWII negatives from the 82nd Airborne Division is keeping me busy at the V700 Scanner! 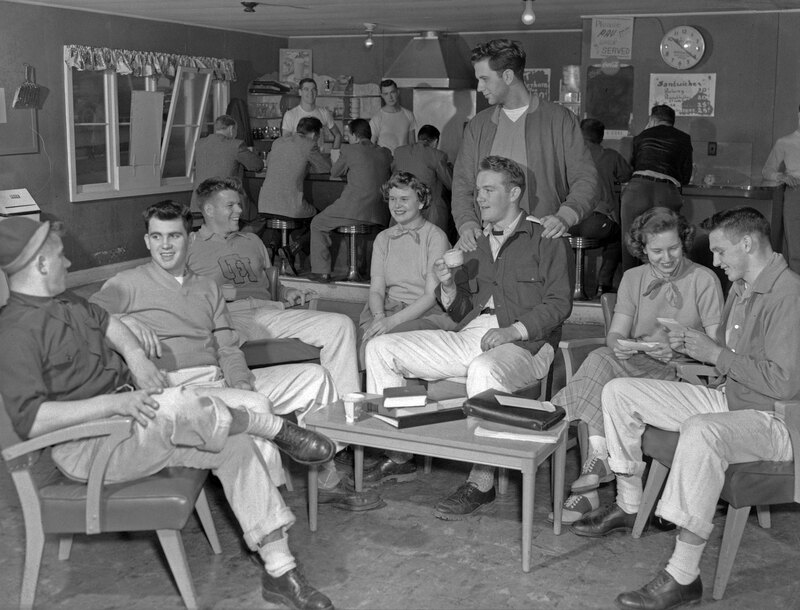 Nearly 200 superb images of life in and around Fort Bragg in the years between 1943 and 1948 keep me clicking the SCAN button. 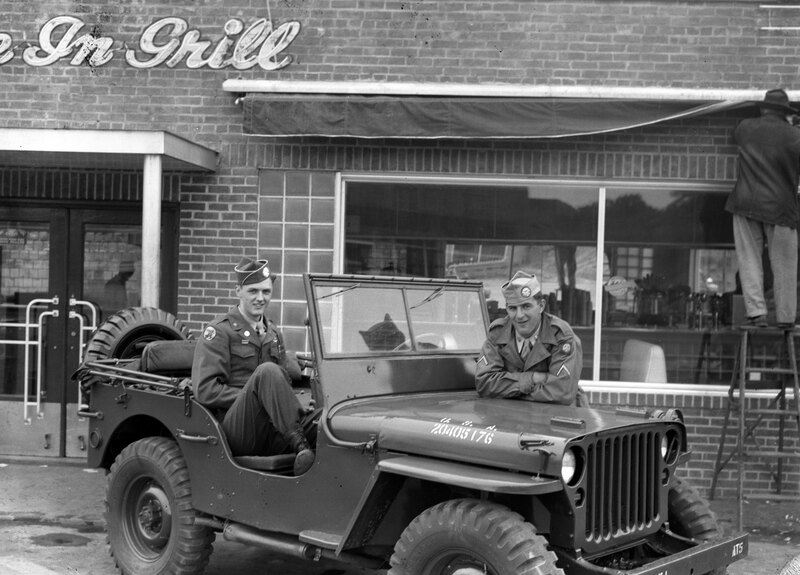 These photos were taken in a downtown Fayetteville diner in 1947. Love the stereotypical activity in the background. Check out the prices on the sandwiches – Twenty cents? WHAT? Also, apparently everyone drank coffee upside down in the 1940s……………….